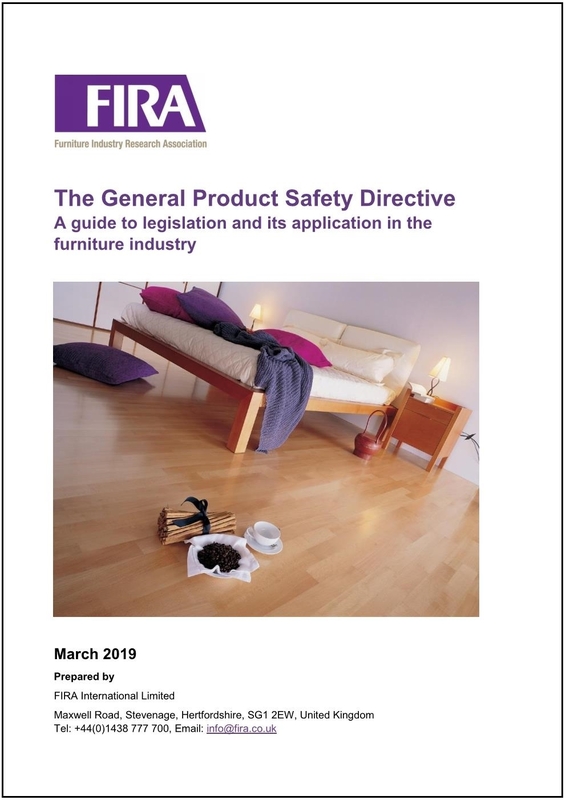 The Furniture Industry Research Association has today published ‘The General Product Safety Directive, a guide to legislation and its application in the furniture industry’, which is the fourth guide released by the Research Association thus far in 2019. Authored by Suzie Radcliffe-Hart, Technical Manager at FIRA International (who are the service provider to the Research Association), the 43 page guide aims to support those from across the furniture industry in understanding the scope of the General Product Safety Directive (GPSD), however it should be noted that the Directive goes across every product and as such the guide can be further applied outside the sector. Although an EU Directive, it’s anticipated that the GPSD, in the form of the General Product Safety Regulations 2005, will remain as UK law post Brexit. Essentially the Directive ensures that only safe products are sold on the market. This includes new, second-hand and also reconditioned products, as well as commercial products which may end up in a consumers house. The Directive also complements sector specific legislation (such as the Furniture and Furnishings (Fire) (Safety) Regulations 1988). Furthermore the Directive governs processes for tracing potentially dangerous products on the market to ensure they can be traced and removed to avoid any risks to consumers. Speaking on the publication of the new guide, author Radcliffe-Hart said “The implications of the GPSD on the furniture sector are vast. Adherence to the Directive is key in order to avoid consequences from potential prosecution to negative publicity. “In writing the guide my aim was to highlight the importance of the GPSD, and offer very practical advice along the way. It’s key to remember that the Directive doesn’t replace standards and legislation which are mandatory for our sector, but instead it complements. This is perhaps why there is less focus on the GPSD from a compliance perspective. But prosecutions do happen. ‘The General Product Safety Directive, a guide to legislation and its application in the furniture industry’ is available at no charge to members of the Furniture Industry Research Association here.